Review This is the second upgrade made to the Palm Pre since the original version appeared almost two years ago, and the first since the company was acquired by HP. 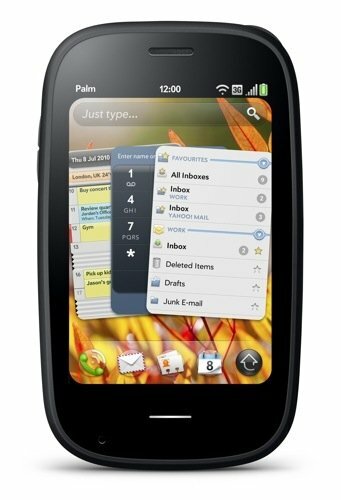 The last tweak, the Palm Pre Plus, made a few changes, but this latest version raises the bar considerably. The Palm Pre 2 looks much the same as its predecessors, retaining the tactile rubberised plastic casing that improved on the glossy slickness of the original. It now has a glass screen too, and when you open it, the highly polished back makes a very effective mirror. It’s compact yet still incorporates that curved sliding mechanism to reveal the Qwerty microkeyboard. The sides are minimally populated with a volume rocker and micro USB power/sync slot, with a mute switch, power/lock button and 3.5mm headphone jack on top. The 3.1in, 320 x 480 capacitive touchscreen is acutely sensitive, responding accurately and quickly to brushes and presses. The keyboard still uses those love-‘em-or-hate-‘em squishy keys which feel a bit weird. They’re on the titchy side too, so you’ll need to use the tips of your thumbs. They take a bit of getting used to, but you can get up a decent head of steam from the 35 keys with a bit of practice.